Physical therapy is a non-medical treatment essential for treating physical pain due to injuries among other reasons. Parsippany Physical Therapy deals with a wide array of patients. They could be normal people with body pain or an athlete with a sports injury. Physical therapists at Parsippany Physical Therapy understands that no matter who the patient is, they wish to get to their normal day to day routine without experiencing pain or mobility challenges. It is the facility’s objective to help its patients reduce pain gradually especially after an injury. After a patient has gone through their initial level of physical therapy, it is not the end. They still need to be assisted to improve mobility and gain full function of their bodies. For instance, a sports athlete still in their prime time would wish to get back to their sport. But, may be a bit apprehensive about getting injured again and so, would work more towards their safety by avoiding injury rather than enjoying the sport. Physical therapy at Parsippany Physical Therapy works towards providing such patients with personal training. 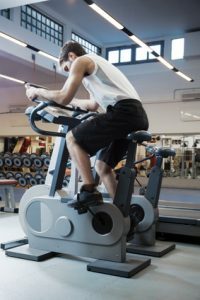 Having a personal trainer is advantageous as the technique is non-intimidating for the patient. The personal touch creates a stronger bond between the patient and the trainer. The program is not limited to sports athletes but is also used to enhance successful treatment to regular patients. Any physical therapists in Parsippany, NJ comprehends that successful treatment is what’s important for the patient. Parsippany Physical Therapy takes on a more personal touch and uses exercises that are effective to successful treatment. So don’t just settle for any physical therapist in Parsippany, NJ, settle for Parsippany Physical Therapy and experience a successful treatment path.